Programmatic will break out of its niche and become an established answer to marketers’ digital advertising goals this year, predicts Martin Kelly, chief executive and co-founder, Infectious Media, as he outlines the key trends. Last year was truly a breakthrough year for programmatic advertising. We saw an increasing number of global brands embracing programmatic and publically entering the marketplace. Figures from the IAB showed that programmatic advertising in the UK grew to £1bn, double the size of the previous year. Display advertising growth, primarily driven by programmatic, continued to outstrip search advertising growth by ever increasing amounts. Much as brands don’t want to do their own TV buying, they don’t want to do their own programmatic buying either. However, what they do want is a say in the ad technology and data that is used in their campaigns. Brands growing demand for greater control means we will begin to see them own parts of the technology. Companies willing to work with a range of programmatic platforms will prove to be the most attractive partners for these brands. The entire industry knows that fraud and viewability are major problems and, as a collective, we are getting better at recognising them. In 2015 we can expect to see standards agreed to take action on these problems as a group or risk stymieing the growth of the industry as advertisers will lose confidence. Expect industry bodies such as the IAB and ISBA to be vocal in this area. One of the holy grails of online marketing has always been to join up measurement of what we do online with what happens outside of the digital world, in the physical world of stores where many brands live. In 2015 measurement of this type will finally start to become a reality. Credit and loyalty card companies will start to use their store and product level transactional data as a measurement mechanic for online advertising facilitated by companies like (recent Oracle acquisition) Datalogix and Dunnhumby. Statistical and probabilistic cross-device targeting becomes irrelevant. This is the year we can expect big moves from Google and Facebook to make their cross-device user data available for both buying and measurement. With both adservers and DSP’s, these two are primed to create powerful cross-device advertising stacks. This method of tracking users across devices by assigning unique user IDs rather than using a cookie, will prove far too attractive for brands to ignore. It will be interesting to see how these products come to market, undoubtedly bundled with other tools and sparking an anti-trust debate. According to the IAB, more than 30% of all programmatic ad spend was on mobile in 2014 but to date this has been driven by app download businesses. With cross device becoming a reality, the mobile programmatic market will see continued growth driven but this time driven by a new set of non-mobile advertisers confident in the metrics and measurement of this emerging media channel. The recent press has marked programmatic’s development through its teenage years, with the resulting growing pains. This year, as key technology and process are joining up, we will begin to see programmatic flourish into something advertisers won’t be able to live without. CIANA 30…AND WE MADE IT! 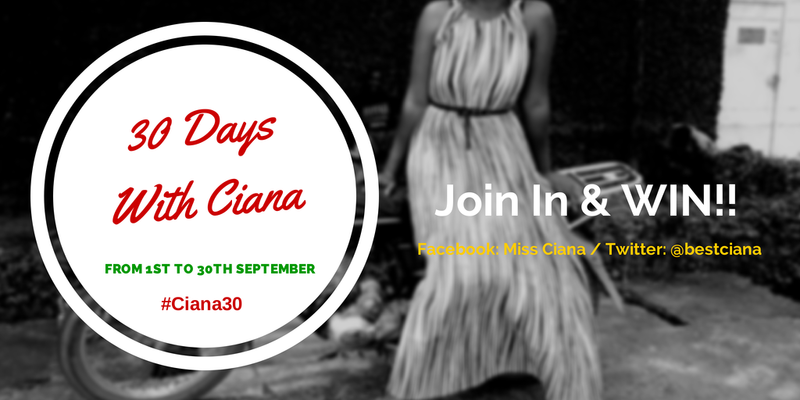 The month of September was pretty much a busy one but also a fun one as we daily managed and ran the hashtagged #Ciana30 session; a daily online session planned as a strategy to continue with the promotion of rapper Ciana‘s debut video Ozeile Nchiengo that was released on August 4th. The ask was simple, the correct answer in the correct way got the individual to a final draw from which they could become the day’s winner. No complications…K.I.S.S.!! In collaboration with London based online African radio Pom Radio Extra, we spent 30 days asking the public questions surrounding Ciana‘s interests/life and the debut video Ozeile Nchiengo. The winners were announced through a final draw every night on Twitter/Facebook Page and on The Request Show on Pom Radio Extra. 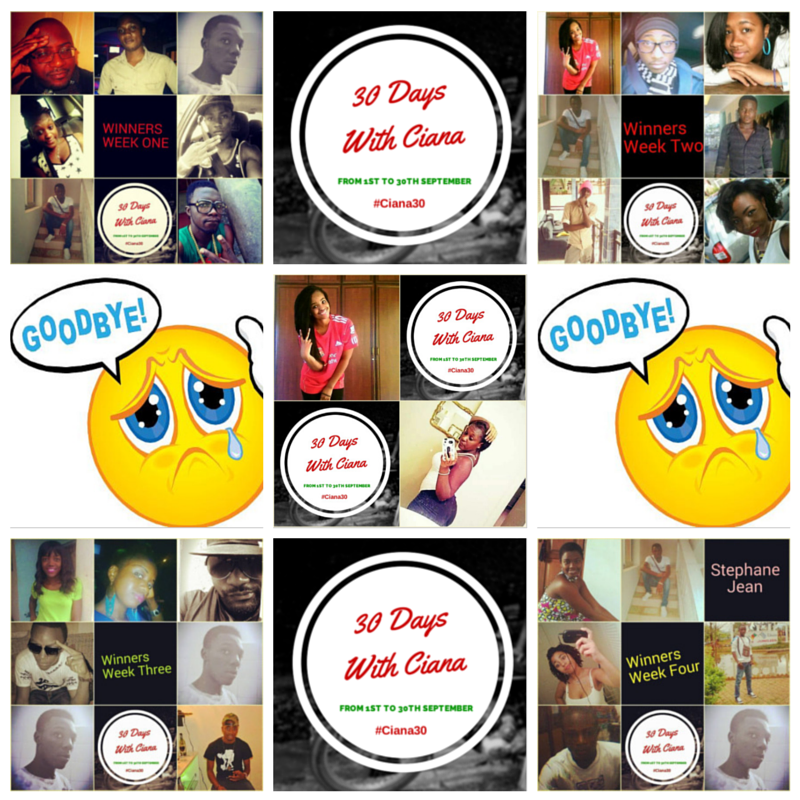 Though it was quite stressful, we made it from day 1 to day 30 and through that created more awareness for Ciana in the face of her online public, we had 29 happy troopers who enjoyed their free airtime credits in Cameroon and finally we increased the Youtube video views by an additional 3,500 plus! Pheew, not bad for a month’s work eh!! Much thanks to all who participated with us, those who supported us, retweeted our questions daily or shared the Miss Ciana Facebook page and to those who silently followed, we are still thankful! Here is a chance to watch the video again…! WHEN CIANA STORMS LA MAXIMALE ON KALAK FM! 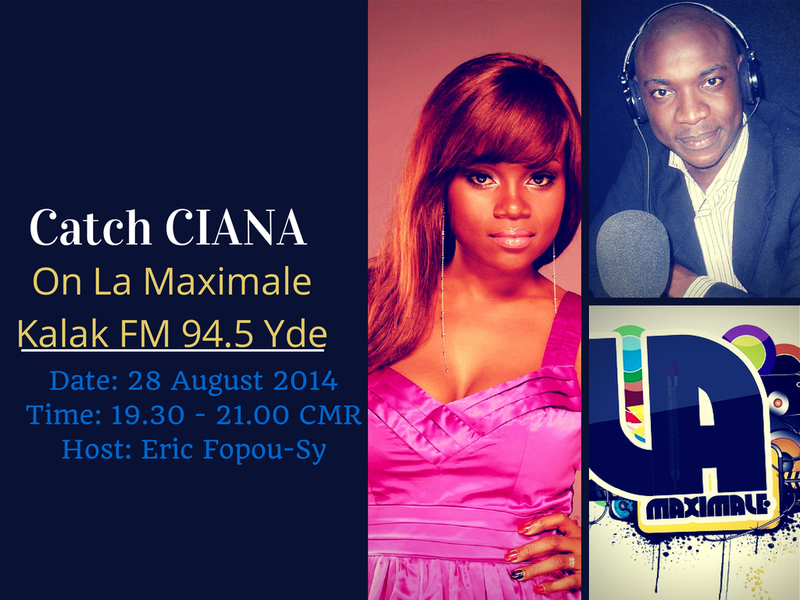 Tomorrow evening is another show time for our star girl in the making, the new femcee, the current reigning queen of Cameroon hiphop – CIANA as she storms radio host Eric Fopou-sy‘s La Maximale show on Yaoundé based Kalak FM 94.5. The queen is on a post release media tour since the release of her debut music video to second track Ozeile Nchiengo. Tune in tomorrow between 7.30pm and 9pm Cameroon time to hear her shed more light on her blossoming music career! See you soon!